Endangered Species Chocolate is a mission-driven company that is passionate about chocolate and the environment. Endangered Species Chocolate is committed to providing chocolate-lovers with premium, all-natural and organic chocolates that are ethically traded and sustainably grown. 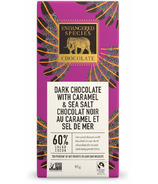 Adding to the impact of each chocolate bar, Endangered Species Chocolate donates 10% of net profits to fund species and habitat conservation. That's right, your chocolate craving can support species conservation, promote ethical trade, and encourage sustainable cacao farming. 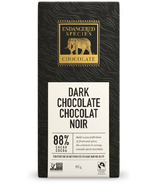 Indulge in a cause with Endangered Species Chocolate!